Music From The Great White North! 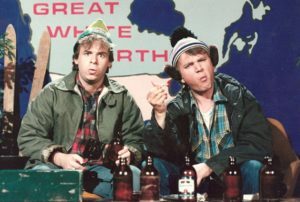 Eh, hoser, you think you know a thing or three about Canadian rock? Those neighbors upstairs sure know how to party! 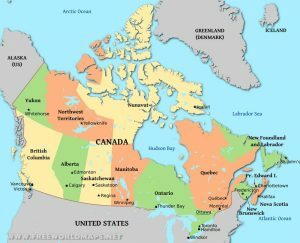 If you’re only familiar with the platinum artists like Rush, Bachman Turner Overdrive, Triumph and Loverboy, then you’re for sure missing out on scores of B-level (and C, D and E- level, all the way down to Zed-level) artists from the Great White North. Canada has been a fertile ground for delivering classic artists since the 1960s. Early pioneers include the critic’s darlings Neil Young, Joni Mitchell, Robbie Robertson and Gordon Lightfoot, among many others. One thing about Canadian rock is that there is a great musical variety. (But technically isn’t that the case everywhere?) OK, so the music scene is no better or worse in Canada than anywhere else. (It’s just colder up there and they drink more beer.) That said, the artists that broke through at some level and filtered south were a diverse bunch: There were pop/rock one-hit wonders (Glass Tiger)*, hard rock posers (Aldo Nova), sensitive singer/songwriters (Sarah McLachlan), early MTV synth-pop favorites (Men Without Hats), bands with names that mean nothing except to the most geographically-sophisticated Americans (Chilliwack), singers who never surrender the right to wear their sunglasses at night (Corey Hart) as well as dreadful artists you’re sorry you ever heard of because psycho ex-girlfriends found life-altering meaning in the lyrics and ended up stalking you (Alanis Morissette). 77% of the world’s maple syrup supply is sourced from Canada. Wow. So today, let’s talk about three songs that made some noise in the lower 48. Unfortunately, these acts weren’t able to deke it out with their American and British counterparts and become household names. Funny thing about radio airplay (at least back then); many stations didn’t play these types of bands during daylight hours, but slotted them in later, after 9 pm or so. I have memories listening to these musical Canuks on my local radio station (WRKI I-95, Brookfield, CT – the home of rock and roll! ), late at night with headphones, all while dreading the math test I had to take the next morning, no doubt. So put on your toque, grab a Tim Horton’s donut and a double/double, put a two-four of Molson in the snow and head’r to the Great White North! Led by guitarist/vocalist Tom Cochrane, Red Rider achieved considerable fame in Canada, but never made it beyond cult status down here. Between 1979 and 1984, the original band released four albums, each of which spawned at least one tune that had some success south of the border. 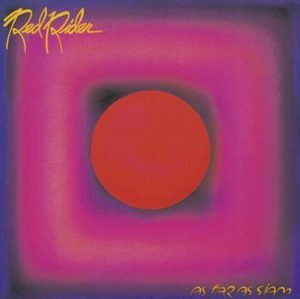 Red Rider’s enduring song, “Lunatic Fringe” which is included on the 1981 release, As Far As Siam, is a cautionary tale about the rise of anti-Semitism. After the initial success following its release, “Lunatic Fringe” showed it still had some life left in it, judging from its inclusion in the television series “Miami Vice” as well as the 1985 film “Vision Quest.” “Lunatic Fringe” remains a staple of classic rock radio to this day. Trivia: Red Rider bassist Jeff Jones was a member of a pre-Geddy Lee version of Rush in 1968, playing alongside guitarist Alex Lifeson and original Rush drummer John Rutsey. (Self serving) trivia: I saw Red Rider open for The Kinks at Madison Square Garden in the early 1980s. 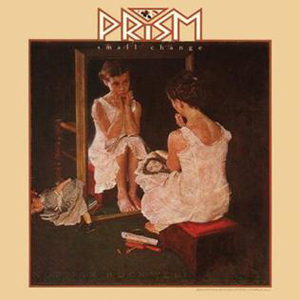 Prism started life as an obscure band in the mid-1970s, and pretty much spent its entire career in that zone, in America, at least. The band had several albums to their credit, but never broke through. They brushed the top 100 on a few occasions, most notably with “Don’t Let Him Know” (co-written by a then-unknown Bryan Adams), which just made it into the Top 40, peaking at #39 in early 1982. Trivia: “Don’t Let Him Know” was fellow Canadian Bryan Adam’s first involvement with a record that made the Billboard Top 40 Singles chart. (Art major) trivia: The artwork for both the Small Change album and the single featured Norman Rockwell’s 1954 painting, Girl at Mirror. Rockwell didn’t live to see this appropriation of his work; he died five years before its release. 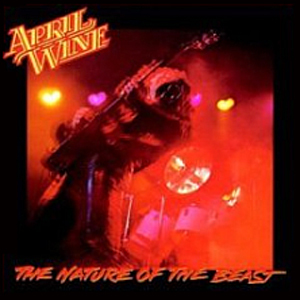 April Wine was Canada’s version of Boston, a quintet that delivered hook-filled melodic hard rock music with plenty of guitars and vocal harmonies. Like so many of their fellow Canadians, they were huge in their native land, but only had minimal success in the States. Best known for the power ballad “Just Between You And Me,” the Miles Goodwyn-fronted unit also scored an FM radio hit with “Sign Of The Gypsy Queen,” which, like “Between,” was taken from 1981’s Nature Of The Beast. The band slugged it out for a few more years before Goodwyn called time and ended up in the Bahamas. After spending a few years sipping tropical drinks on the beach and missing the business, he traded the sun-soaked island for the tundra life once again and now divides his time between performing with a reformed April Wine and his solo career, along with his side hustle of composing film scores. (Naming) trivia: The two words that comprise the band’s name don’t have any special meaning; the band simply felt they “sounded good together.” For sure!